Castrop-Rauxel, Germany, September 14, 2007 - Daniel Schwill today announced the celebration of the first anniversary of Tables - the easy way to spreadsheets on Mac OS X - with a present for new and existing customers. To celebrate the first anniversary of Tables new customers receive 25% off by using the coupon code "anniversary" when they purchase a Tables licence from September 15 till September 21. While customers that already purchased a Tables licence before September 15 can win an iPod nano 4 GB in the anniversary drawing. For more information visit www.x-tables.eu. Tables enables you to organise and present data very simply. With Tables you can not only organise data but also do calculations and comparisons with it. Add, sum or multiply numbers or process data by using more than 100 functions. Data can not only represent numbers but a date or an amount, too. Tables offers extensive options to format the data. Format them as currency, as an amount, as percentage rate, scientifically or with different date formats. Create visually attractive invoices, lists or reports and even add some photos, PDF documents or charts to present your data with great visual impact. Tables requires Mac OS X "Tiger" version 10.4 and is available for download at www.x-tables.eu. Tables offers a full functional free 30-day trial. A licence can be purchased from the web-site for 39 EUR (approximately US$55). Daniel Schwill, living in Castrop-Rauxel, Germany, is a software engineer with more than ten years experience in professional software development. Since 2002, he has been using Objective-C, Cocoa and Mac OS X for his private software development. On April 1, 2006 he founded his own software company in Germany. 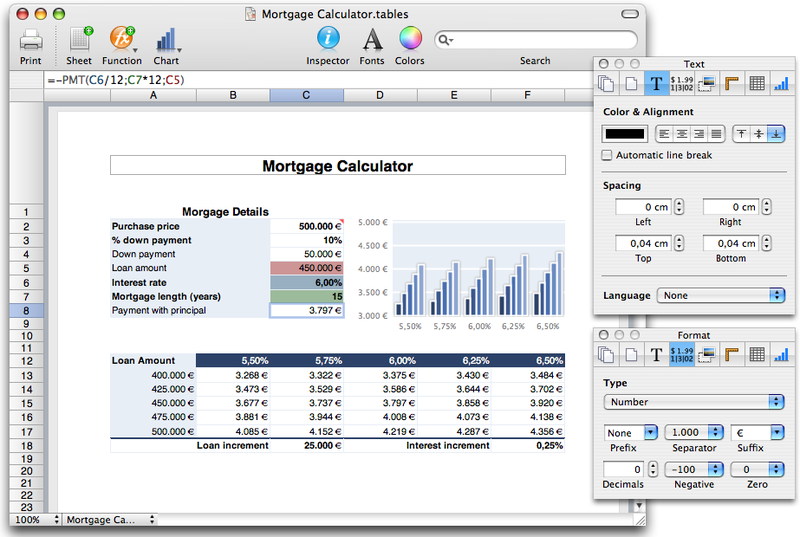 The first commercial product is Tables - the easy way to spreadsheets on Mac OS X.